PHD2 (Push Here Dummy) has a really nice support implemented for comet guiding. 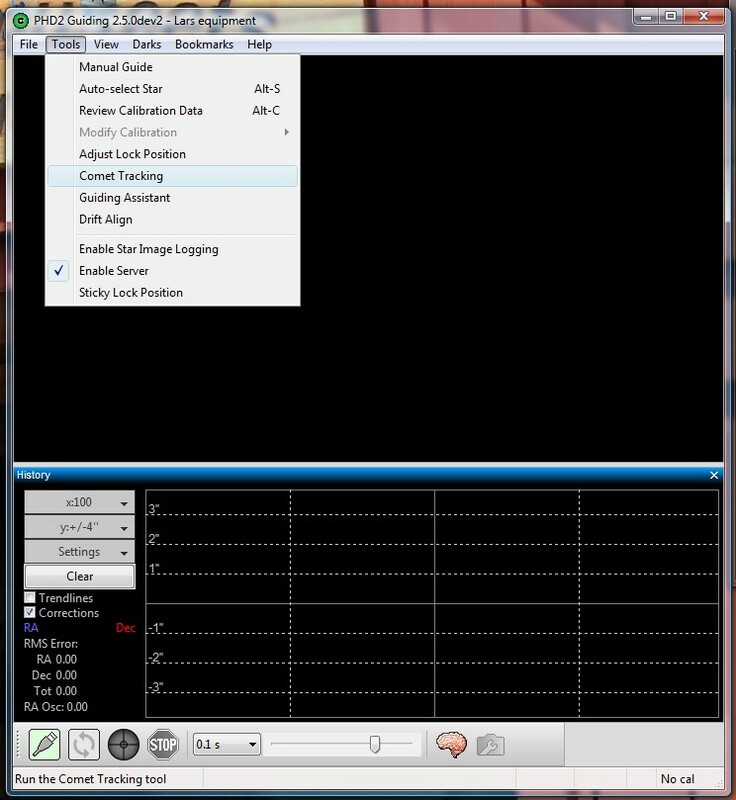 Before starting the comet auto guiding enter the guide telescope's focal length and guide cameras pixel size (you find it under the brain symbol). Then do a calibration of PHD2 and then let it guide on a star nearby the comet. You must have all that working before proceed. Don't forget to enable the server in PHD2! 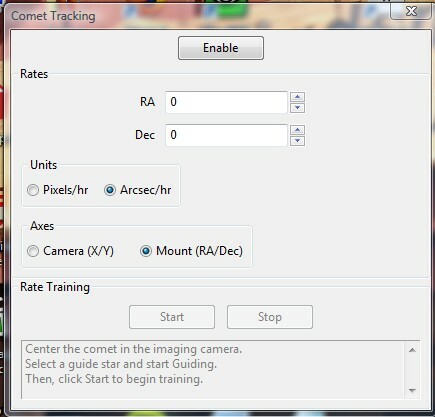 Under tools in PHD2 you have a choose of comet tracking, click on it. A new menu popup like the one down here. I will not describe here how to do it in that way, I have a better solution.